SALEM—Sprague senior Teagan Quitoriano entered last Friday’s game against McNary averaging 32 points per game. 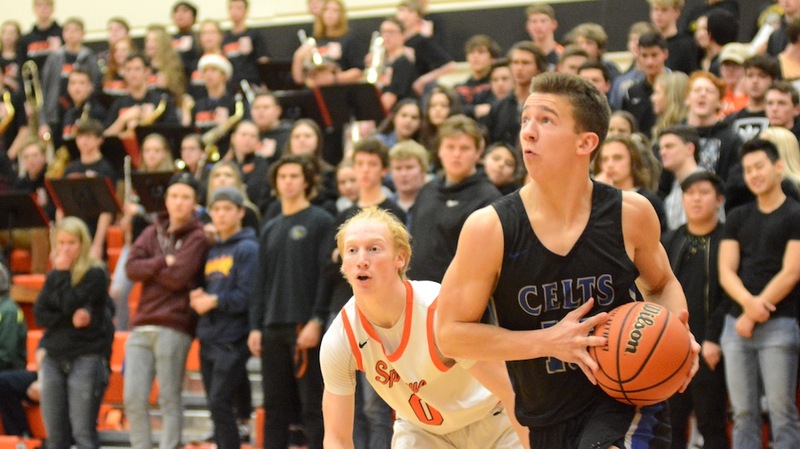 The Celtics held Quitoriano to five in the first two and a half quarters but the Olympians finished the game with nine 3-pointers, including a back-breaker at the end of the first half to give McNary its first loss in league play, 70-62. Quitoriano finished with 20 points, which included going 9-for-10 from the free throw line in the second half. But he also made his mark on the game when he wasn’t scoring. “We tried to have a guy in front of him and a guy behind him anytime he caught the ball on the block,” Kirch said. “We were running a double (team) at him and really force him to make some decisions. Credit to him, he passed the ball well. When you’re a guy that’s used to being dominant, a lot of times you’ll force plays but he did a nice job of kicking it out to the open shooters and they made shots. McNary led 19-14 early in the first period but Sprague answered with two 3-pointers within a minute and a half to take a 22-21 lead. A putback by Ricardo Gardelli tied the game at 24-24 but two free throws gave the Olympians the lead for good. A 3-pointer in the final seconds of the second period by Sprague junior Jailen Hammer put the Olympians ahead 35-28 at halftime. Hammer finished with 25 points to lead all scorers. Two more 3-pointers early in the third quarter stretched Sprague’s lead to 43-33. McNary got within 47-42 on a Lucas Garvey 3-point play with 2:04 remaining in the third period but never any closer. Senior Andrew Jones led McNary with 15 points and seven rebounds. Chandler Cavell added 14 points and eight rebounds. Garvey finished with 11 points. McNary faced a Sprague team that won the Greater Valley Conference last season and returned four starters. “The scoreboard doesn’t necessarily tell us how much we’ve improved,” Kirch said. “This is a really good team and we’re going to play other really good teams and we’ll have a chance to play them again and they can certainly do a lot of things. Sometimes the scoreboard says you won by 25 or 30. This for us is a better growing experience. We’re better because of this game. The Celtics play Clackamas, defending 6A state runner-up, in the first round of the Capitol City Classic on Monday, Dec. 18 at 8:30 p.m. The 16-team tournament runs through Friday, Dec. 22. McNary is back at home on Wednesday, Dec. 27 against Tualatin at 7 p.m.
SALEM—McNary (6-0) continued to crank up its defense at Sprague on Friday, Dec. 15, holding the Olympians to just two field goals in the first half and under 23 percent shooting for the game in a 48-24 Greater Valley Conference victory. McNary jumped out to a 20-6 lead in the first quarter as Kailey Doutt, Leah Doutt and Paige Downer each had six points in the period. Holding the Olympians to only a free throw in the second quarter, the Lady Celts led 31-7 at halftime. 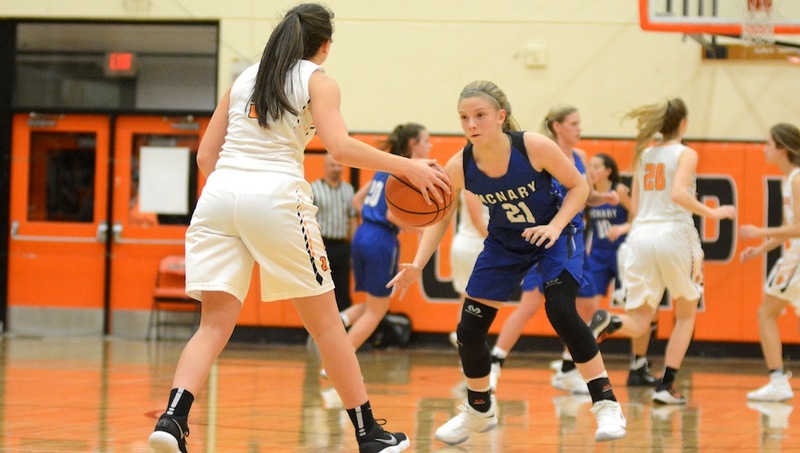 Leading 46-17, McNary started its four freshmen, Leah Doutt, Mackenzie Proctor, Kennedy Buss and Annie-Leigh Besa, to begin the fourth quarter. McNary junior Sabella Alfaro scored the only points of the period, knocking down two free throws. Kailey Doutt led the Lady Celts in scoring with 17 points to go with six rebounds. Leah Doutt added 10 points and three rebounds. Downer finished with nine points. Abigail Hawley had seven rebounds and Buss added four assists. Through six games, McNary is averaging more than 52 points per game while allowing 31.5. The Lady Celts had eight steals against Sprague. Doran would like to see McNary get more rebounds. The Lady Celts are taking a break from league play to host David Douglas (3-3) on Tuesday, Dec. 19 at 7 p.m. McNary is then playing in the Lake Oswego Nike Shootout Dec. 27-30. 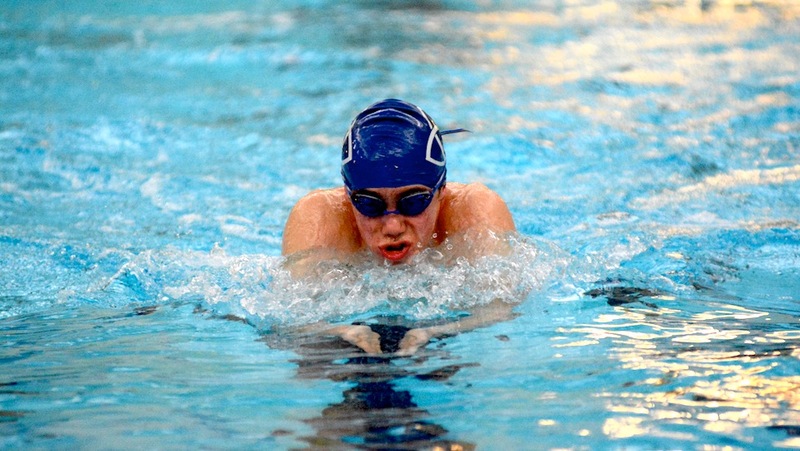 The Lady Celts open the 16-team tournament against Clackamas (3-0) on Dec. 27 at 4 p.m.
McNary’s toughest competition in the pool came against itself as the Celtics easily defeated McKay in its second swim meet of the season. Competing at the Kroc Center on Thursday, Dec. 7, the McNary boys outscored the Royal Scots 123-23 while the girls won 101-54. With more depth on the boys team, McNary coach Casey Lewin mixed up his relays. In the 200-yard medley relay, Brock Wyer, Harrison Vaughn, Jackson McCarty and Wyatt Sherwood were able to edge Kyle Hooper, Grant Biondi, Jabez Rhoades and Jack O’Connor by a little more than half a second. The 200 free relay was also tight with Wyer, O’Connor, Rhoades and Vaughn defeating McCarty, Biondi, Hooper and Sherwood by two seconds. The Celtics also won the 400 free relay as Brennan Whalen, Collin Wentworth, Josiah Metz and Bryce Junker touched the wall in 4:28.51. The Lady Celts swept the relays as well. Kylie McCarty, Emma Garland, Kylee Daulton and Alyssa Garvey won the 400 free relay by under a second in 4:28.81. Alex Beard, Bella Beard, Emily Alger and Haley Debban took first in the 200 medley relay in 2:02.93. Alex Beard, Alger, Garvey and Garland won the 200 free relay in 1:55.21. Bella Beard won the 500 free in 5:49.08 and the 100 butterfly in 1:17.79. Alex Beard took first in the 200 IM in 2:26.97. Alger touched the wall first in the 100 free, finishing in 1:04.11. Biondi edged Hooper by a little more than a second in the boys 100 fly, finishing in 1:06.18. Biondi also won the 500 free in 5:57.65. Hooper took first in the 200 IM in 2:16.61. Vaughn won the 50 free in 24.04 and the 100 breaststroke in 1:10.60. O’Connor took first in the 100 backstroke in 1:25.34. Wyer won the 200 free in 2:16.79. After Keizer Police Department asked the public for help in locating a transient man suspected of burglarizing two Keizer coffee shops, an arrest was made in Salem on Monday, Dec. 11. Keizer Police Department publicized their search for John Albert Herriges last week and it helped lead to his arrest. Herriges was wanted in connection with four incidents in Keizer, three that took place in October and one in December. On Oct. 12, investigators believe he was involved in a criminal mischief incident at Dutch Bros. He is also being sought in connection with a burglary at Bentley’s Coffee on Oct. 14 and a second burglary at Dutch Bros. on Oct. 20. Herriges is also a suspect in a third incident at Dutch Bros. on Thursday, Dec. 7. At 10:20 a.m. on Dec. 11, Salem Police Department officers responded to a possible sighting of Herriges walking into a restroom at Champions Bar & Grill located at 2930 Silverton Road N.E. The caller said she had seen media reports about Herriges being wanted in connection with the Keizer crimes. Police arrived at the restaurant and Herriges was identified and taken into custody without incident. After his arrest, Herriges was brought to the Keizer police station where he was questioned about the Keizer burglaries. He was arrested and taken to Marion County Correctional Facility where he was charged with one count each of burglary, attempted burglary and criminal mischief. He is being held on $20,000 bail. Herriges was arrested in October on suspicion of involvement with a burglary and criminal mischief incident in September at the Bentley’s Coffee on Mission Street in Salem. Charges were filed on Oct. 16 in Marion County Circuit on Oct. 16 and Herriges was released from the Marion County Correctional Facility on Oct. 18. On Nov. 30, Herriges was charged with burglary, criminal mischief and theft in connection with incidents at Crooked House Bistro in west Salem. Herriges allegedly entered the restaurant and remained inside with intention of committing a burglary, during the course of the incident the building was damaged and property valued at less than $100 was taken. When Herriges failed to appear for the arraignment on charges related to the Crooked House Bistro, a warrant was issued for his arrest. He also had an outstanding felony warrant stemming from a Polk County arrest. Herriges has had run-ins with Marion County law enforcement officers dating back to 2002. 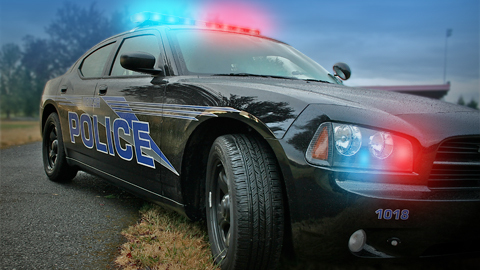 Charges range from driving infractions to possession of methamphetamine to forgery. Anyone having additional information about the crimes can contact Det. Tim Lathrop at 503-856-3481. Tips can also be emailed to [email protected], individuals who provide times can remain anonymous.